Apparently, it was the worst Summer ever in London. But it became a little bit warmer this weekend! But this sunny day in this weekend made me want to have an ice cream! I'd like to introduce the best ice cream shops in London! 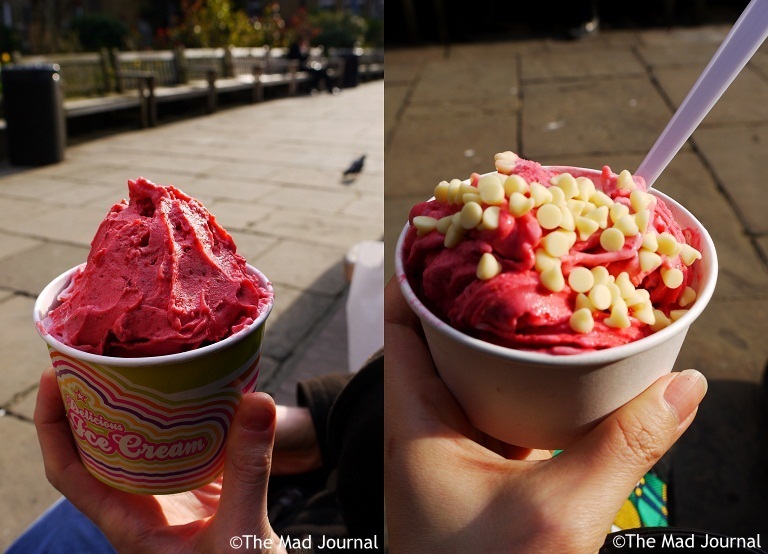 If you google "best ice cream London", you always find Scoop. I always wanted to go, we finally went there this weekend. We wanted somthing light flovor, and we found green tea ice cream!! I'm so glad that we can find green tea ice cream in London these days. The ice cream here is so light that we can eat many scoops! 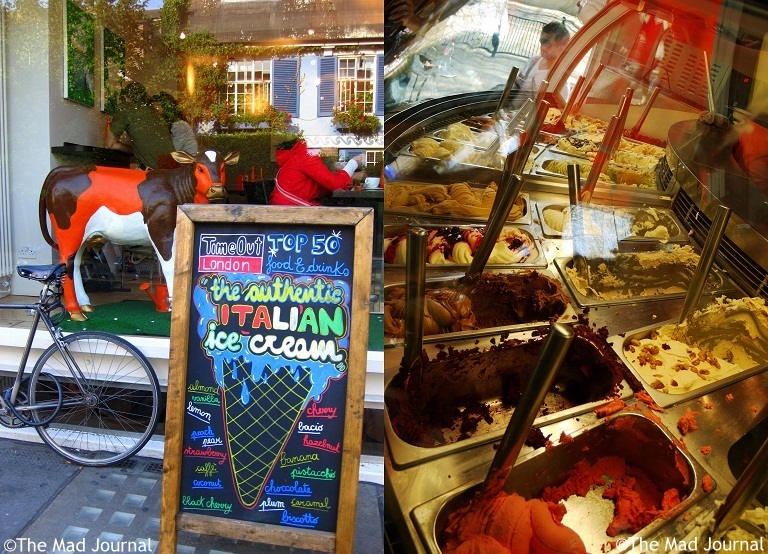 Gelato Mio is also one of the most popular ice cream shop in London. There is always a queue in front of the shop in Summer. Everyone was glued to see so many flavors in the counter. Ice cream here taste richer than Scoop. This Italian gelato is really satisfying! 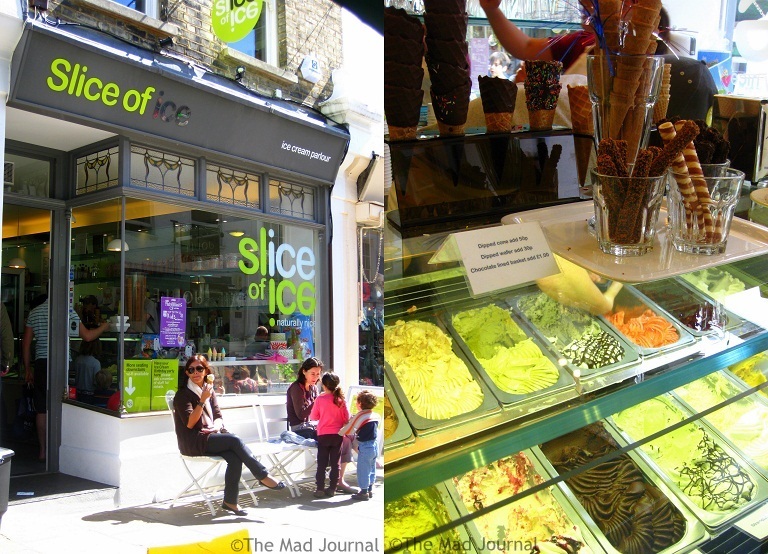 If we visit Hampstead (in Summer), we always go to Slice of Ice. There are lots of flavors, toppings, and cones. They have sandae and cakes too, there was a kid's birthday party. I could imagine the kids would be in heaven!! A scoop is enough for me coz I don't like too much cold. These days, I and my partner choose one flavor each, and make a double scoop. This shop is in Covent Garden. This is a specialty for muffin, but my partner said their frozen yogurt is really good. But this frozen yogurt doesn't really taste sour, much more creamy! They put it in a big cup too! Of course you can make any flavor with frozen fruits, and there're various toppings too. Dri Dri has come up recently. 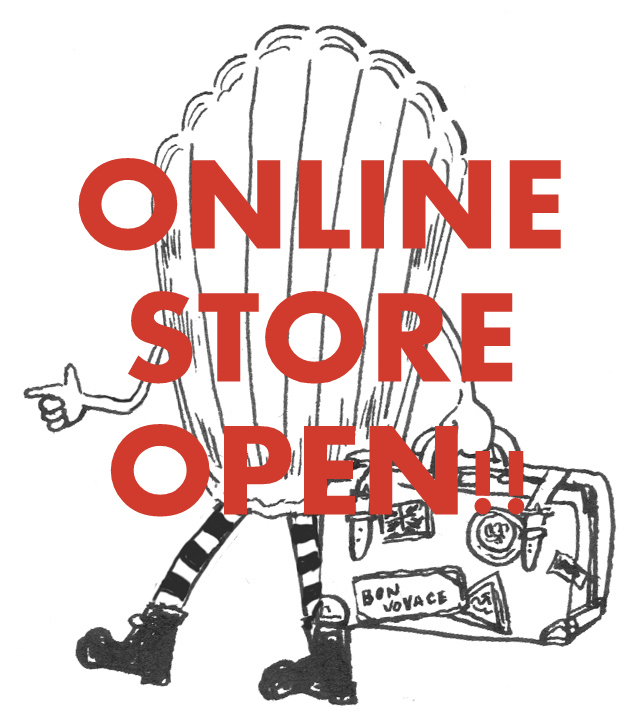 It's a very pop and cute shop. Of course it tastes good too! I love the flavor "Crema Dri Dri". I love the flavor of milk and it has caramel too! 他にもお勧めがあります! There are other shops I'd like to reccomend. This is from Borough Market. There is a shop of dairy products. They sell ice cream too. Their salt caramel ice cream is the best ever! Also the cafe I introduced before, Drink, Shop & Do. Their ice cream is very good too! enjoy the last Summer sunshine with those ice cream! !